Moving to Brooklyn changed me. Living here allowed me to develop from a person searching for purpose, for a new career, for directed passion, into a person who knows herself. Brooklyn was the first new place Justin and I lived as newlyweds. It's where I gave myself a crash course in all things food-related, from policy, to ingredients, to food systems, to cooking. While living in Brooklyn I became a vegetarian...and then an extremely limited conscientious omnivore. While here, I honed my own sense of design and style and became a steadfast champion of handmade, homegrown, and do-it-yourself. I went from eager but fairly incompetent in the kitchen to a person who believes in weekly meal planning, based entirely around the farmers' markets and seasons. I embraced running like I haven't since high school and added swimming and biking as new interests. I've also learned that a British seasonal cookbook will rarely steer me in the wrong direction. These things are now the essence of 'me'. As I move away from Brooklyn, I'll keep changing and growing, but the core of me--the pragmatic locavore photographer--will remain. Justin and I are in the middle of squeezing our one bedroom apartment into a mountain of boxes. 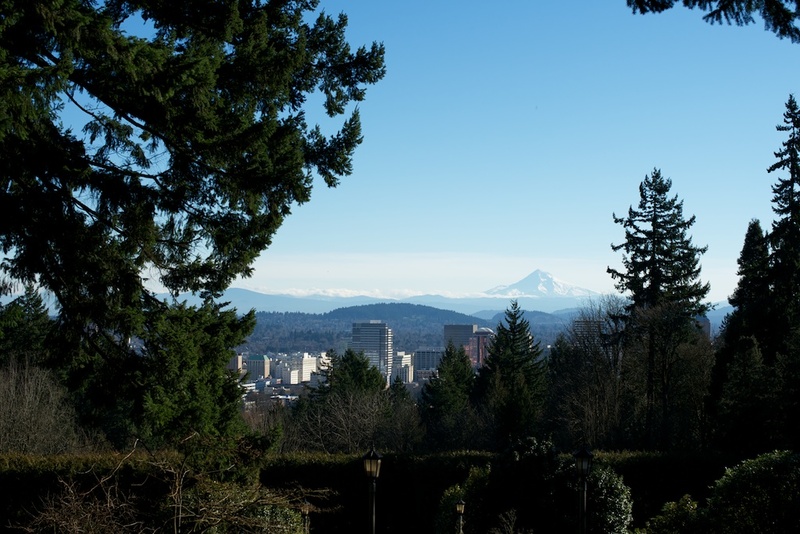 We're moving West, to Portland, Oregon. 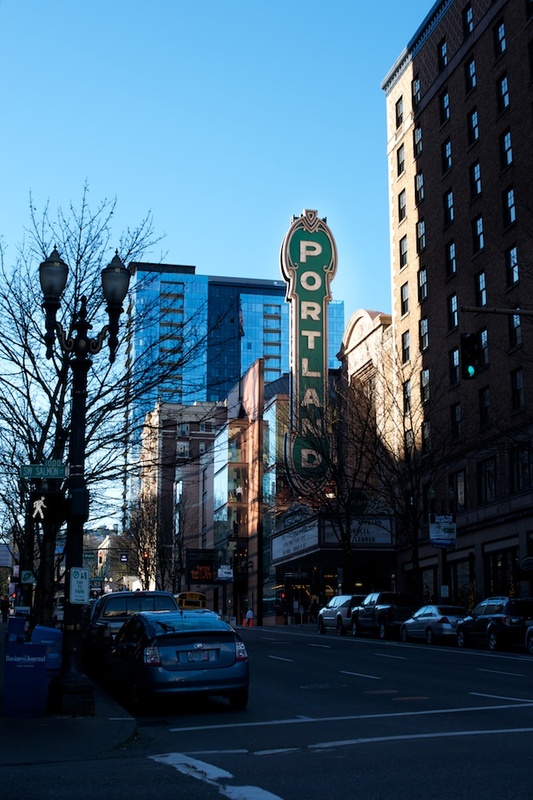 You might have read my glowing posts on Portland when we first visited last April. Or if you know me, you already know this fact: we fell in love with the city of 600,000 and will make it our next home. And this time, home actually means house. We're renting a charming bungalow, complete with a small backyard and a huge front porch. In some ways, living in New York has been like hammering a rectangular peg into a square hole. At certain angles, the rectangle fits easily, but in other circumstances, no amount of hammering works. While many days have been uplifting and invigoriating, I won't miss my marathon treks to the farmers' market via subway, lugging bags upon bags back with me back onto the train, never getting a seat. I won't miss being scared for my life everytime I get behind the wheel of a car, not to mention a bike (you don't know aggressive drivers until you've driven in New York). I certainly won't miss the difficulty in completing day-to-day tasks, such as grocery shopping and cooking and how there are some days where the jack hammering feels like it's going straight through my skull. My day to day life feels anomalous to how one should best take advantage of life in New York City. New York is non-stop. It comes at you from all directions and the best way to enjoy the vibrant opportunities is to outsource the banalities of everyday life. Spending an hour traipsing to the farmers' market instead of simply ordering from Fresh Direct? Cooking dinner instead of ordering delivery? Walking instead of cabbing? 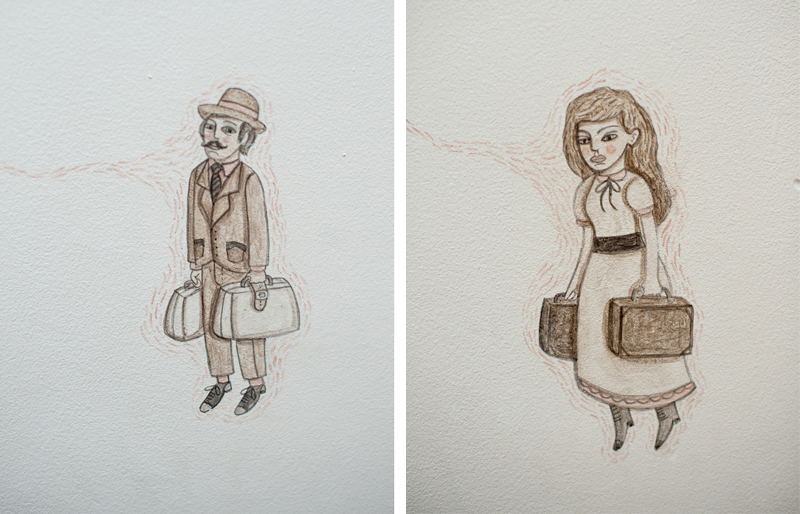 Getting to know people because you're interested in who they are, not in who they know? As I've told people in person, Portland is an exciting city. People are passionate and dedicated---they believe in something whole-heartedly, whether it's food, design, biking, gardening, tattoos, or coffee. People err on the side of earnestness instead of cynicism. And the natural beauty is jaw-dropping. We're moving at the beginning of March. There'll be other news to report once we arrive, but for now: we're moving to Portland and I couldn't feel more at peace with this decision. 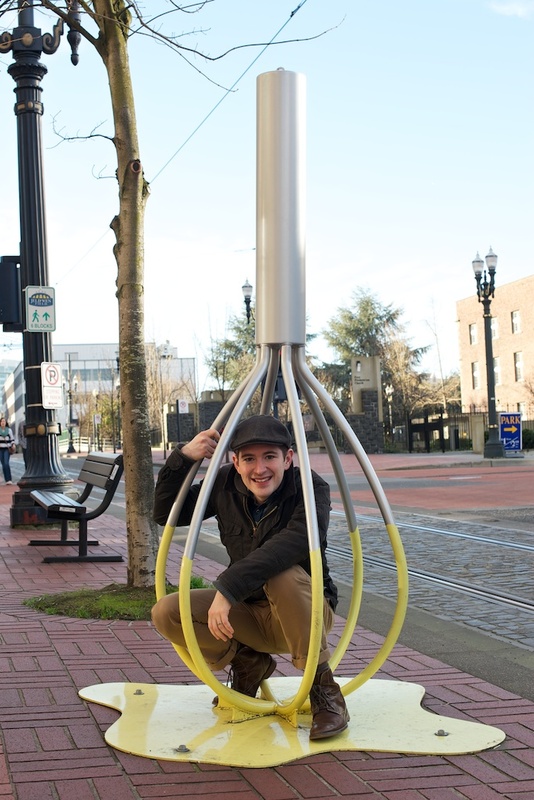 PS: I couldn't resist including a picture of Justin inside a giant Whisk outside of Portland's Saint Cupcake! It's disconcerting to visit a new place with certain expectations, only to arrive and find that your expectations missed the mark.